I would like to thank S.M. for taking time to answer the following questions. I would also like to thank Mark My Words Book Publicity. S.M. 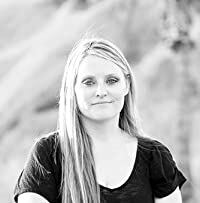 is the author of Unusual Awakening, which is the first book of Rylee Everley series. You can find out more about S.M. on her site. 1) What inspired you to write your first book? I have always loved writing and wanted to write something my daughter could read. 2) What books have had an influence on you and your writing? Many books have had an influence but more recently it has been the of Witches and Warlocks Series by Lacey Weatherford. 4) Do you have a specific writing style? I haven’t really settled on a specific. I am learning a lot while I write. 5) Do you have a regular writing routine? My goal is 1000 words a night but with children, that doesn’t always happen. 6)What’s the BEST writing advice you ever received? Just write! 7)When did you first consider yourself a writer? When I started writing my first words. We are all writers in one way or another. 8)If you could be any character from any book, who would you be? In a way, I’m very similar to Rylee. S.M. Knowles was born in Elmira, New York where she was swept away in a whirlwind to the Land of Oz–Independence, Kansas. Her parents were relocating for working opportunities and decided that this would be the perfect place to start new roots. Little did she know that this place would contribute to the inspiration for the first book she wrote in her Rylee Everley Series.